Explore the intriguing stories behind some of Irving Berlin's best loved songs - from "Alexander's Ragtime Band" to "White Christmas." 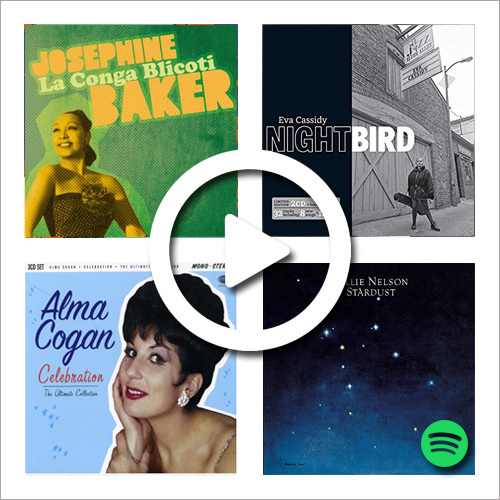 Log into Spotify before clicking on each playlist below to listen to a selection of covers for each song. Emmet. Used by permission of Alfred A. Knopf, an imprint of the Knopf Doubleday Publishing. Group, a division of Penguin Random House LLC. All rights reserved. One of the greatest successes in the annals of American popular music and the song that made Berlin famous all over the world. According to Berlin, who was quoted in a 1914 article in Theatre Magazine, “the melody came to me right out of the air. I wrote the whole thing in eighteen minutes surrounded on all sides by roaring pianos and roaring vaudeville actors.” Berlin told the story of how "Alexander" was written to his friend Rennold Wolf, who recounted it for an article titled "The Boy Who Revived Ragtime,” which he contributed to the Green Book Magazine (August 1913). Listen to "Alexander's Ragtime Band" on Spotify, performed by Ray Charles, Louis Armstrong, Bessie Smith and more. Given as a wedding present by Berlin to his bride Ellin Mackay. (They were married January 4, 1926.) According to a notation by Berlin on the earliest known piano-vocal manuscript of the song - found among his papers and now in the Irving Berlin Collection of the Music Division of the Library of Congress - "Always" was written in Atlantic City in July 1925. Yet there is evidence that composition was begun even earlier. A notation on a Berlin copyright card indicates that the title "Always" was registered with the Music Publishers Protection Association (MPPA) on May 28, 1925. The lyric on that earliest piano-vocal manuscript, as Berlin mentioned in an undated contemporary article, was intended to be a “dummy,” or temporary lyric. 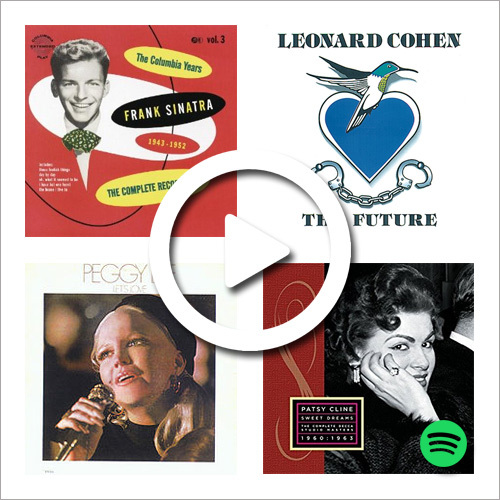 Listen to "Always" on Spotify, performed by Leonard Cohen, Billie Holiday, Peggy Lee and more. Written, according to copyright cards in the Berlin office, on or about December 16, 1926. Introduced by Belle Baker in the Ziegfeld production Betsy (New Amsterdam Theatre, New York; December 28, 1926; 39 performances), whose score was otherwise written by Richard Rodgers and Lorenz Hart. Al Jolson sang it in The Jazz Singer (1927), the first talking picture. While the song may have always been intended for Belle Baker, it certainly was not written overnight to rescue Betsy, which was first presented at the National Theatre, Washington, D.C., on December 20 - 25, 1926. Top-selling recordings by Ben Selvin and His Orchestra (Columbia) and George Olsen and His Orchestra (Victor). Sung by Bing Crosby in the musical film Blue Skies (1946). More recently - 1978 - the song received a successful recording by Willie Nelson. Listen to "Blue Skies" on Spotify, performed by Willie Nelson, Frank Sinatra, Eva Cassidy and more. 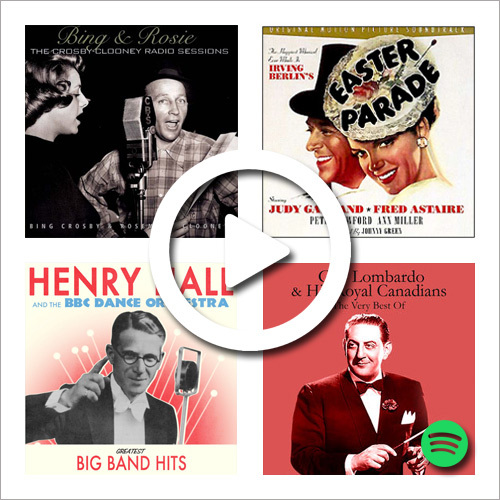 Listen to "Easter Parade" on Spotify, performed by Judy Garland, Bing Crosby, Guy Lombardo and more. Berlin wrote the song on his way back to America after attending the London premiere (September 30, 1938) of his film Alexander’s Ragtime Band. Introduced by Kate Smith on her CBS radio show, The Kate Smith Hour, on November 10, 1938. Smith premiered the song late in the show and prefaced it with the following words: "And now it’s going to be my very great privilege to sing for you a song that’s never been sung before by anybody. One that was written especially for me by one of the greatest composers in the music field today. It’s something more than a song - I feel it’s one of the most beautiful compositions ever written, a song that will never die. 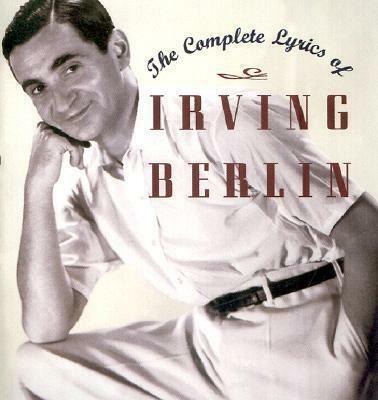 The author - Mr Irving Berlin. The title - 'God Bless America.' 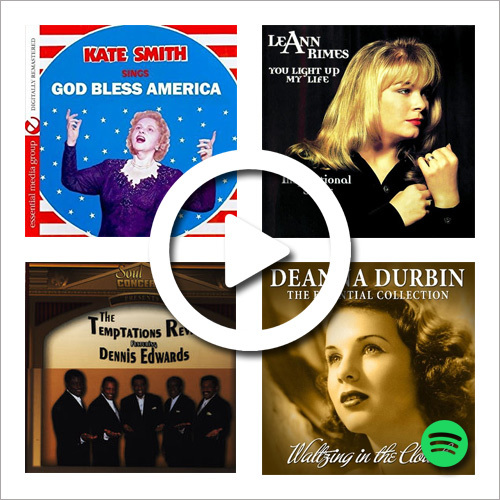 "
Listen to "God Bless America" on Spotify, performed by Kate Smith, Deanna Durbin, LeAnn Rimes and more. The song is derived from two sources. According to Berlin (1971): "In the early days of sound films I wrote a very awful movie for Al Jolson. One of the songs was a true horror called 'To My Mammy'. But in the middle of it I had a couple of nice lines... Years later I took out those nice lines and wrote a new song around them called 'How Deep Is the Ocean'... I think it’s one of my best songs - taken from one of my worst. The verse of 'How Deep' is recycled from 'How Much I Love You' from Reaching for the Moon." Listen to "How Deep Is the Ocean" on Spotify, performed by Bob Dylan, Eric Clapton, Miles Davis and more. The first, or "Lenox Avenue," version was introduced by Harry Richman and chorus in the 1930 United Artists film Puttin’ on the Ritz. It was the first song in film to be sung by an interracial ensemble. Later sung by Clark Gable and "Les Blondes" in the 1939 MGM film Idiot’s Delight. Richman’s recording (Brunswick) became the number-one selling record in America. Later, Berlin rewrote the lyric with the locale changed to Park Avenue. 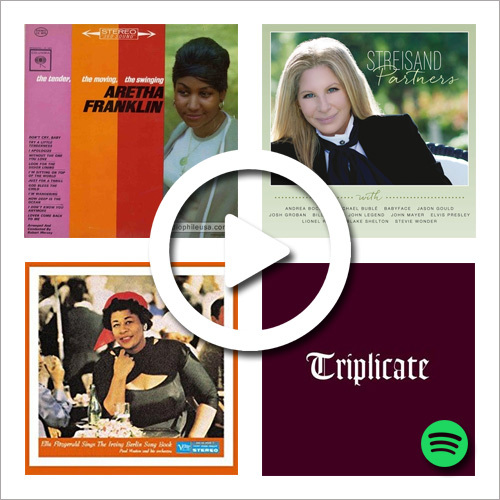 Listen to "Puttin' on the Ritz" on Spotify, performed by Fred Astaire, Herb Alpert, Gregory Porter and more. Listed in show programs as "Show Business." “One myth I would like to straighten out,” Berlin wrote in a letter to noted press agent Richard Maney (April 8, 1966): "There have been so many stories connected with 'Show Business' - that I didn’t like the song, that I wanted it out of the show, that at one audition I eliminated it - there is no truth to any of that. I wrote it to take care of a spot in one for a scene change indicated in the script. Buffalo Bill, Charlie and Frank Butler were trying to induce Annie to join the show and I thought of the title 'There’s No Business Like Show Business'. I remember calling Oscar Hammerstein and telling him the title. He was crazy about it, which of course encouraged me to write it up. Once it was in the show we all knew that it was an important part of the score. Certainly no one, including myself, realized at the time that it would become the so-called theme song for show business." 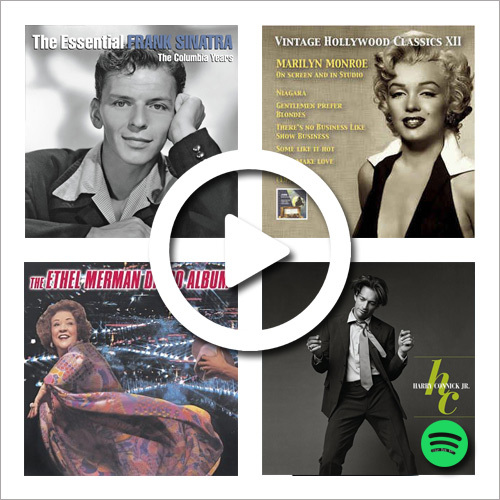 Like Show Business" on Spotify, performed by Ethel Merman, Mel Tormé, Marilyn Monroe and more. As Berlin recalled in the Los Angeles Examiner (December 14, 1954): "I wrote it for a revue I intended producing, changed my mind and put it away until it was used in a Bing Crosby picture. At the time I had no idea 'White Christmas' would be a perennial hit or that Paramount would add to its popularity with a movie of the same name. When the song first became popular, I attributed it to the War and the fact that Christmas means peace. I felt that since people were singing it I ought to write another verse. But I couldn’t do it. New words would not come." "Much as I’d like to take a bow and say I anticipated its future success, I must admit I didn’t,” Berlin told the Jamaica (Long Island) Press (September 24, 1954). Listen to "White Christmas" on Spotify, performed by Louis Armstrong, Bing Crosby, CeeLo Green and more. The idea for this song came from Ethel Merman, who was so impressed with the reception that Russell Nype had received for "It’s a Lovely Day Today" that she told Berlin, according to Nype, "I want a number with the kid." Helmy Kresa, who began making piano arrangements for Berlin with "Blue Skies" in 1926 and who became his chief arranger and head of his company’s music department, recalled the writing of "You’re Just in Love": "I was with him all through the New Haven and Boston try-outs. After we opened in New Haven... it became apparent that Russell Nype, the juvenile lead, was the surprise hit of the show. Also that Ethel Merman needed one more comedy song in the second act. At that time, we had a very successful revival of an old Berlin song 'Play a Simple Melody' which is a double number- one smooth melody against a rhythmic melody. Mr. Berlin said it would be wonderful if he could write a similar song for Merman and Nype..."
Listen to "You’re Just in Love" on Spotify, performed by Rosemary Clooney, Mary Martin, Perry Como and more.